Dramatic photograph of a Royal Enfield with Airflow fairing did not tell all. The Gun, magazine of the Royal Enfield Owners Club UK, is out for October/Novembr 2017 with its usual fine selection of fun, facts, tips and Royal Enfield history. 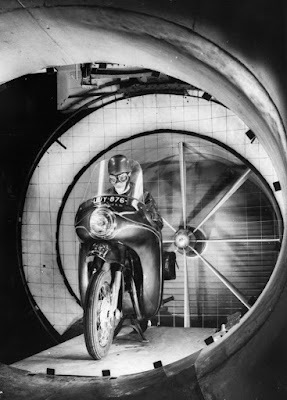 The first article to catch my eye was Bob Murdoch's examination of Royal Enfield's post-World War II experiment with Airflow fairings. Royal Enfield offered these fiberglass fairings in three sizes to fit all models. 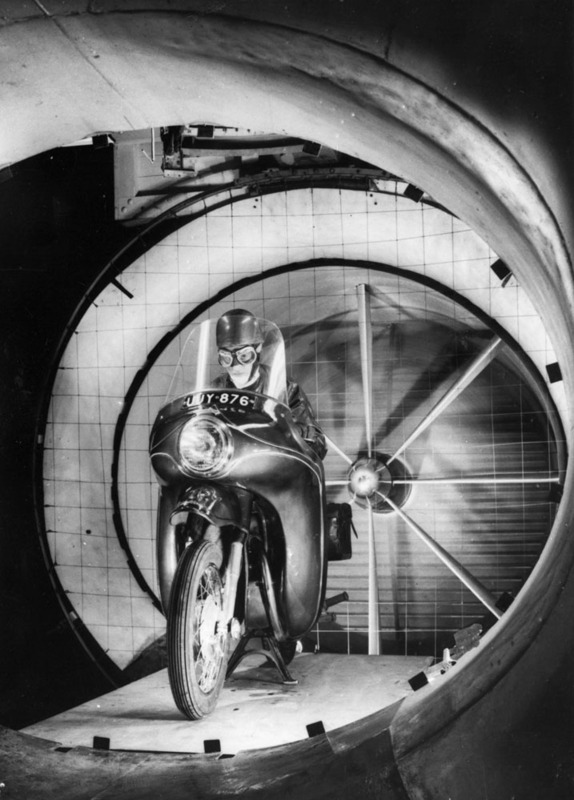 Bob delves in the history of the famous photographs of a Royal Enfield with fairing being "tested" in a wind tunnel at Bristol Aeroplane Company. Bob quotes a one-time Bristol employee who remembers talking to Trevor Williams, who he says conducted the "tests" with Royal Enfield in October, 1958. I won't give away the fascinating story, except to confirm previous reports that all was not what it seemed. Bob also describes the experience of riding his own Royal Enfield with the Airflow fairing: it works as it should but his explanation of how it works will surprise you. The Gun is always entertaining, from editor Robin Gillingham's column to the crossword puzzle. This edition, however, ends with some technical tips any Royal Enfield owner will find useful. My favorite is the surprising suggested new use for silicone bathtub sealant. I'm going to keep that one in mind. The Gun is free with your REOC membership. Join here.